Children of Blood and Bone (Legacy of Orisha #1) (Hardcover) | Fountain Bookstore, Inc.
Eleven years ago, the king of Orisha wiped all adult magi, the people who are gifted with the ability to perform magic. That day, the gods died and magic itself disappeared. Now, Zelie is struggling to survive under the cruelty of the king who still oppresses the remaining magic-less magi and their families. But then something happens that could bring magic back to the land and Zelie is faced with the task of finding the gods, restoring magic, and learning about her own power. This is a thrilling adventure that weaves together my favorite elements of any story - magic, adventure, and family. 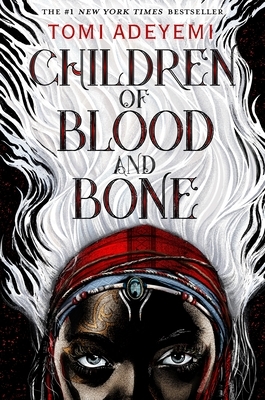 Children of Blood and Bone is easily one of my favorites of the year and I can't wait until the next book.